Blessed Feast of Pentecost to all of you! In this season of the Church year we celebrate the descent of the Holy Spirit to the Apostles and also to all of us in the Church. The gift of the Holy Spirit is not just a nice phrase, but truly means that God is with us—He joins with us in the work we do in His Kingdom, giving us whatever we need to complete the task He has given to us—to become ever closer to Him through our salvation, and to bring all nations to Him as well. It was a year ago that I arrived in Tanzania, and my first Sunday in the country fell on Pentecost, reminding me even in my first few days of culture shock that God was and is always with me. At the end of the Gospel of Matthew when Christ gives The Great Commission to make disciples of all nations, He promises “and lo, I am with you always, even to the end of the age.” Christ Himself is with each believer, giving us all we need to bring others to the faith. In truth, no human being makes anyone else a disciple of Christ—God alone has the power to do that. It’s been good for me to be reminded of this, lately, as I begin the many administrative tasks involved in reopening the Orthodox health centre. Sometimes the work seems so large and daunting, and I can get distracted by all of the countless things on my “to-do” lists. I can become overwhelmed and feel like I am alone and that it’s impossibly difficult work —I feel incompetent and helpless countless times a day. I often think that I am faking my way through being a missionary, that I am in no way qualified to do the work I am attempting! But when I stop and remember the purpose of all of this work, I recall that I did not come here just to build up a health centre. I came here to love the people of Tanzania in the way Christ loves them. 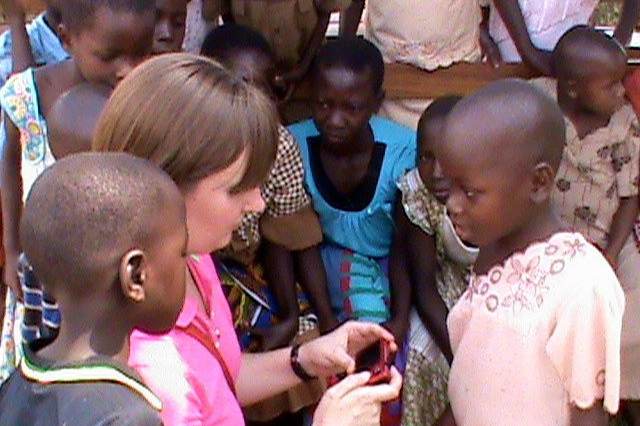 Christ h ealed the sick, but He also shared the message of salvation with them. If my goal is to fulfill The Great Commission, and if helping to reopen the health centre is a means to reach people here, then I should remember who it is who is sending me, and also who promises to be with me to accomplish the task at hand—God Himself. The many challenges I face in my daily work are not things I have to overcome on my own. If I remember to pray, if I ask God to help and to guide me, then He can and does help me! The past month has been a whirlwind of activity for me. After Pascha I took three weeks of time away from Bukoba, to rest and to renew my energy for what I knew would be a very busy summer. I travelled to Germany to meet up with my parents, and it was a wonderful blessing to be able to spend time with them for two weeks. On my way back from Europe, I stopped in Nairobi, Kenya and met up with my fellow missionary Felice Stewart. She was in the city to meet her guests who were travelling to East Africa to assist her in teaching a seminar about recovery from addictions. Floyd Frantz is an OCMC missionary serving in Romania, where he does addictions counseling as part of his ministry. Floyd has also worked with Father Andrew Harrison, a priest from Chicago who also has an interest in addictions work. The seminar was a three-day program to help educate our Tanzanian clergy about alcoholism and addictions in general, and also to help them understand the process of recovery and how they could start helping people in their communities who are seeking sobriety. This work is very important here in Tanzania, as there is a high rate of alcohol use and abuse. The priests told Felice, Floyd, and Father Andrew how much they needed the information and how they hoped that they would continue the work. 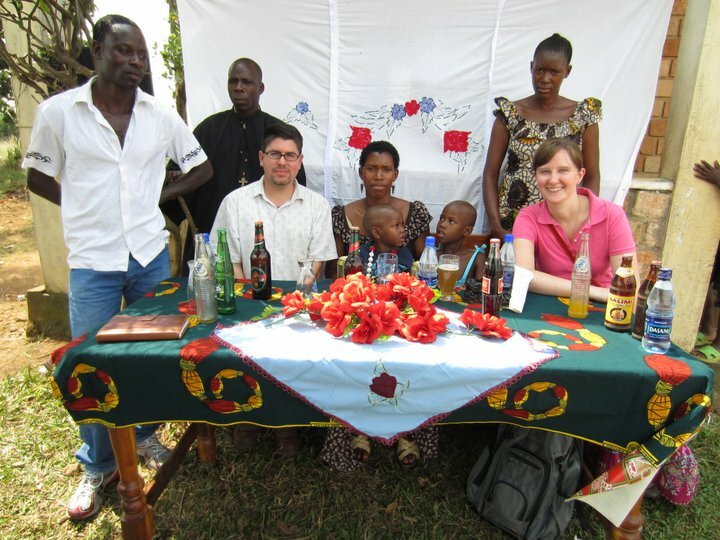 Felice has started an Alcoholics Anonymous program here in Bukoba—the first in this area, and she has been invited to bring the program to smaller s urrounding villages. Floyd and Father Andrew stayed with us for two weeks, attending the meetings and helping Felice to strategize about what steps she should take next to build up the program. It was wonderful to visit with them, and we are grateful for their support and encouragement. We hope to see them back again within the year. While I was in Nairobi I had a chance to meet fellow missionary James Hargrave’s mother, Ellen. I’d gotten to know her over the phone and through email messages we exchanged throughout December when James was ill in Mwanza. It was a great treat to meet up with her—she was in Nairobi on missionary work of her own, and we spent time talking about James’ upcoming wedding in Canada. He and Daphne (Cunningham) Hargrave were married at the end of May and will return together toTanzania in September. I’d met Daphne, a nurse, when she participated in the OCMC medical team last October. I could not be happier for both of them, and I will be very glad to see them soon! Michael Colburn, a Mission Specialist for OCMC and a future missionary himself, was also in Nairobi during the same time we were, doing some preparatory work for his ministry in translation for the Church in Kenya. It was a real joy to see him again—he is our linguistic specialist at OCMC, and I’d worked with him before coming to Africa, to learn the language acquisition program I’d be using here to learn Kiswahili. So, it was a full week getting to know people and visiting with old friends, and I had a wonderful time. As soon as I returned to Bukoba, and while we were hosting Floyd and Fr. Andrew, visitors from the US arrived. St. Paul’s Orthodox Church in Irvine, CA has a long relationship with the Church in Tanzania, and they are partnering with a group called Project Africa Global to conduct a medical mission team in Bukoba in September. Two of their representatives, Alex Gorbenko and Dr. C urley, came to do an assessment and to prepare for their team’s work. I spent three days with them, showing them around and working with them and the local health authorities to learn what steps they need to take in order to be licensed to volunteer as practitioners. We also talked about the logistics of travel and accommodations, and met with His Eminence Met. Jeronymos about how the team would function. Dr. Curley and Alex were also extremely helpful with suggestions about how to move forward with the health centre, and I am grateful to have the advice of a physician who has worked in Africa before but who also understands public health and has experience with outpatient clinics. As a US educated nurse who has only worked inpatient Labor and Delivery, trying to design a plan for an outpatient health centre in a developing country without any formal training to do so has been frustrating at best. It has felt like a Godsend to have Dr. Curley as a resource who ha s seen the buildings and supplies first hand, who has met at least some of our staff, and who will be returning and can have a more direct relationship with the health centre than someone who has never been here. 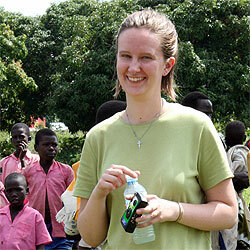 While Dr. Curley and Alex were here, Giannis Dais also arrived in Bukoba and stayed for about three weeks. He is a volunteer from Greece who helps to handle administrative issues for the health centre as a representative of KEDAS, the Greek NGO that finances the centre. I absolutely could not be doing my work here without him, and I am always so glad to see him. It’s a lot easier to face the challenges of personnel management, building maintenance, and finance when I have a full-time coworker with me. Giannis has since returned to Greece, but he’ll be back later this summer and until then we are in almost daily communication about the health centre, which I really appreciate. Last, but certainly not least, my fellow missionary Michael Pagedas compl eted his two-year term of service with OCMC and returned to the US right about the same time I went to Germany. Upon my return I have definitely noted his absence and both Felice and I miss him. Our friends in the community ask about him often and are eager to hear how he is doing and what kind of work he will be doing in the US. In fielding the questions about him, I realize that in two years he really did become part of the community here, and that our presence here is definitely noted and valued. I get stopped on the street by people I don’t even know, who met Michael and who send their greetings to him—what a blessing! I know that some of you are eager for specific updates on what’s going on with the health centre, but for now I ask you to be patient and bear with me—my update next month will have all kinds of details for you and I promise it will be a lot more exciting than what I could write now. For now, we have hired some staff and are w orking on the logistics of planning and implementing a system to register patients, maintain medical records, organize inventories for medication and supplies, and to get our lab up and running. It’s a lot to do in a month—our goal is to have the basic structure for all of these things in place by July 1—so please, please pray for us! Please pray that I will remember that God is with us in all that we do to serve others and to witness to our faith. I also remember all of you in my daily prayers, and I am so thankful to each and every one of you for the many ways in which you support me to be here. Not only is God with me, but you are also with me! When I have a tough time, I do think of you and remember that I am not here of my own desire or even will, but that I am representing you and am in a partnership with you. I look forward to the day when I will be able to update you on some of the progress we are making, and that you will have a better understandin g of what the health centre looks like and what services we are providing. Until then, asante sana for reading this (very) long update! Please feel free to respond or to ask questions—I absolutely love hearing from you!